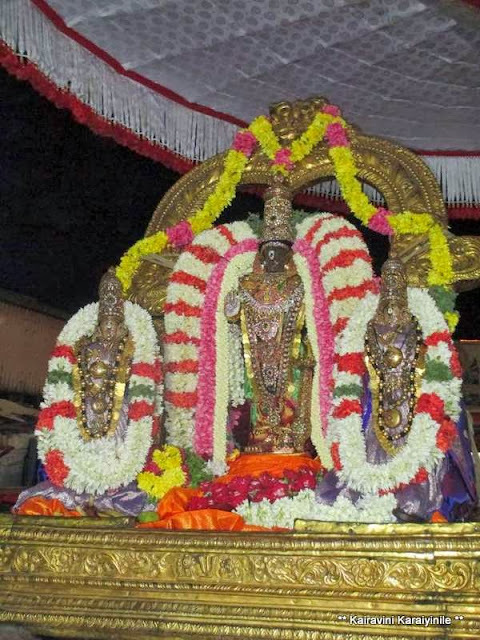 Today, 1st Oct 2013 is a Special day… today is Ekadasi… On all Ekadasis, there will be periya maada veethi purappadu of Sri Parthasarathi Swami at Thiruvallikkeni Divyadesam. 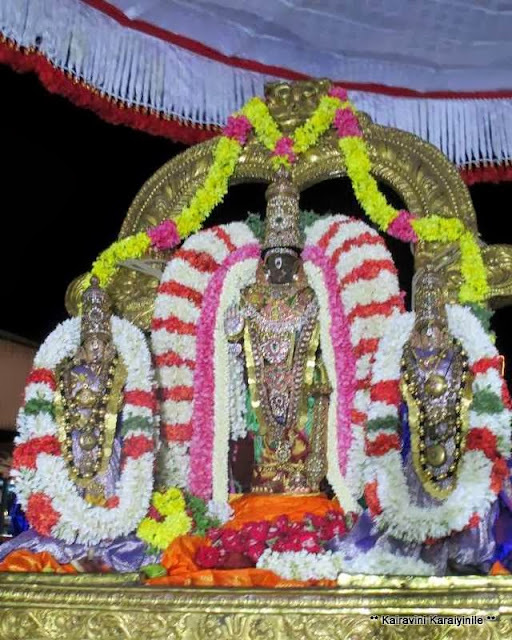 Today is special for Perumal had purappadu with Azhwar. 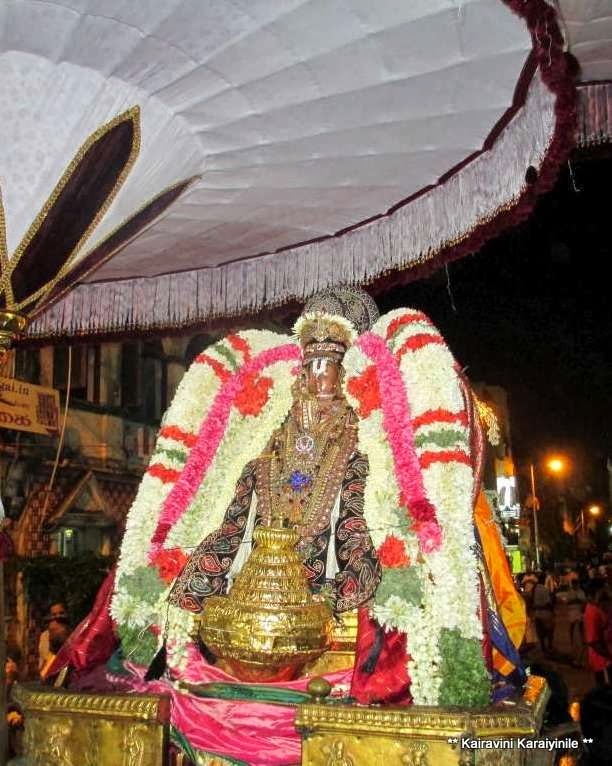 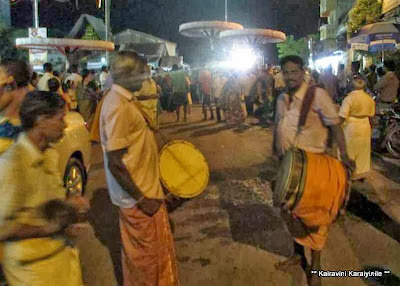 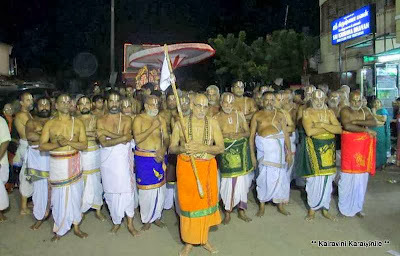 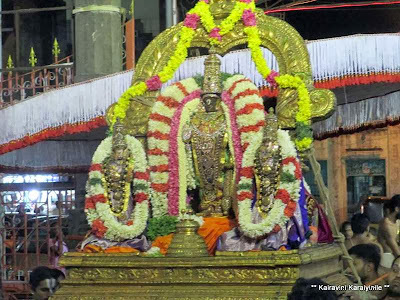 Over a decade now, annually Sri Peyalwar from Sri Adhi Kesava Perumal Devasthanam has been visiting Thiruvallikkeni for mangalasasanam of the Divyadesa perumal. 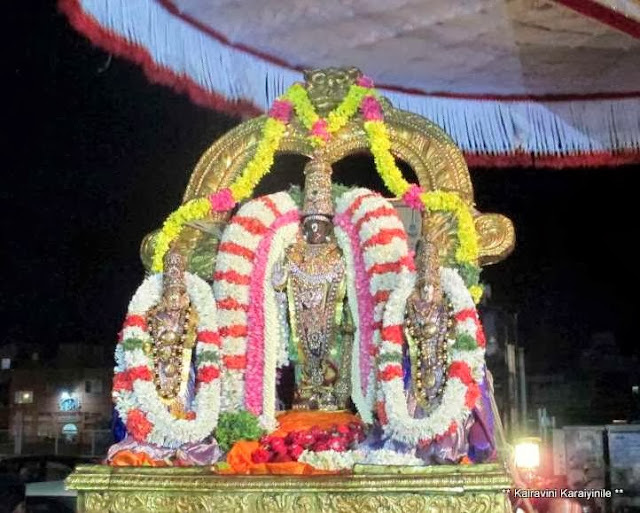 Sri Adhi Kesava Perumal Devasthanam better known as ‘Kesava Perumal Kovil’ is near Mylai Kapaleeswarar Temple and the Chithirai kulam belongs to this Temple. 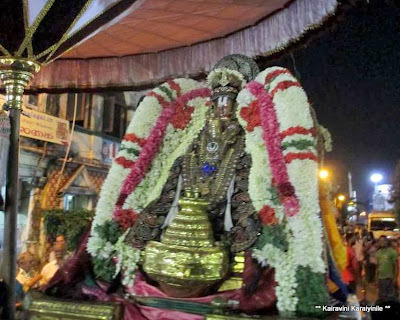 Later in the evening at around 0700pm, there was the grand purappadu of Sri Peyalwar with Lord Sri Parthasarathi. It was a grand festival grandly organized by Sri NC Sridhar, Trustee of Sri Kesava Perumal Kovil, Mylapore…. 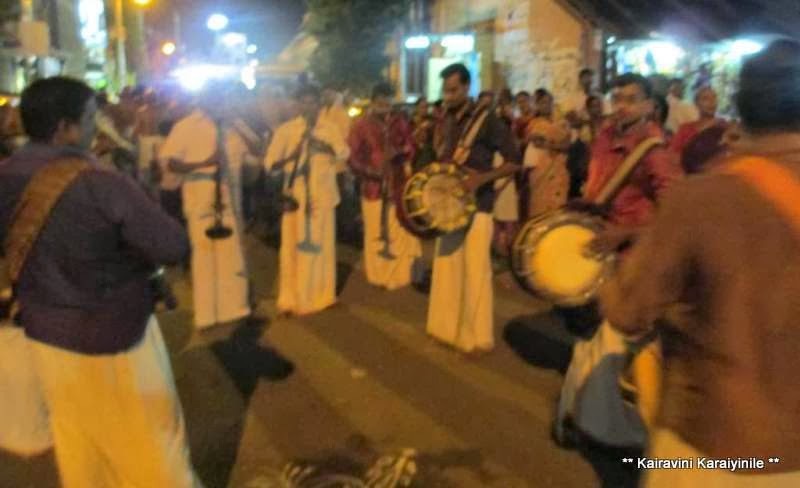 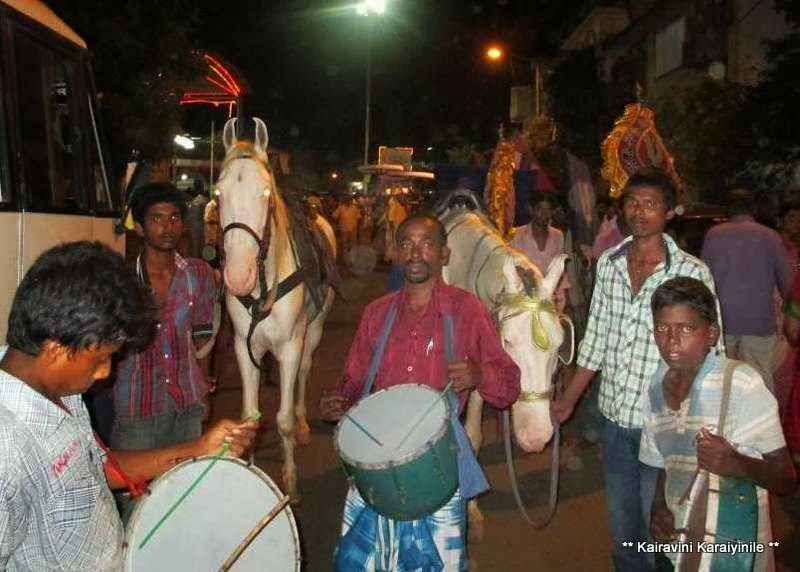 In that worthy procession, there were horses, bearers carrying flags that had Thiruman printed on them, drums, Nathaswaram, thavil and more specifically, Divyaprabandha Veda Parayana goshties, Sri Peyalwar and Sri Parthasarathi Emperuman. 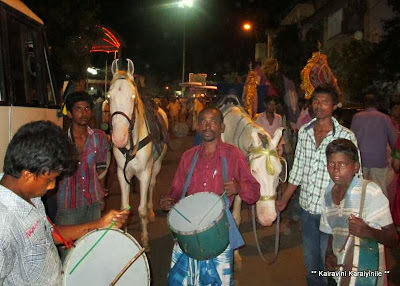 Here are some photos taken on the occasion.